River City Volkswagen Club :: My new bus! Posted: Sun Jan 26, 2014 7:12 pm Post subject: My new bus! Should get it home this week! finally...I had too big of file. Montana red 70. Good find! 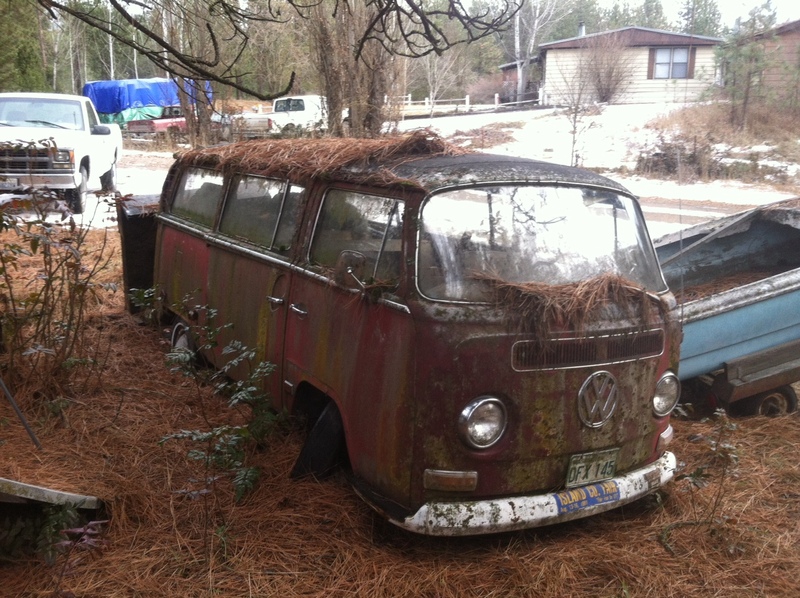 Could turn out to be a very cool patina bus. Whats up with that front tire? Busted spindle/ball joint? Looks like the other side is turned all the way to right lock, too. I would guess the bus was dragged to that spot, possibly with a chain around the right tie rod, bending it thereby shortening it and causing extra toe-out. Then the tire peeled partway off the wheel, and it was left to sit like that. Or maybe it's my beer making me see things. So whats up Sam, MORE PICS!! Good eye! I saw a square reflector and wide fives and figured 70, but that reflector is aftermarket, and is in the 68-69 reflector location. But I also see late 68 or later wiper arms. I am betting 69 now. Look at the drivers outside door handle, also, I think I see the inside door knob, and looks like the square visor...all '68 stuff. One could ask, is the color Titian Red, early '68, verse late '68 Montana Red? 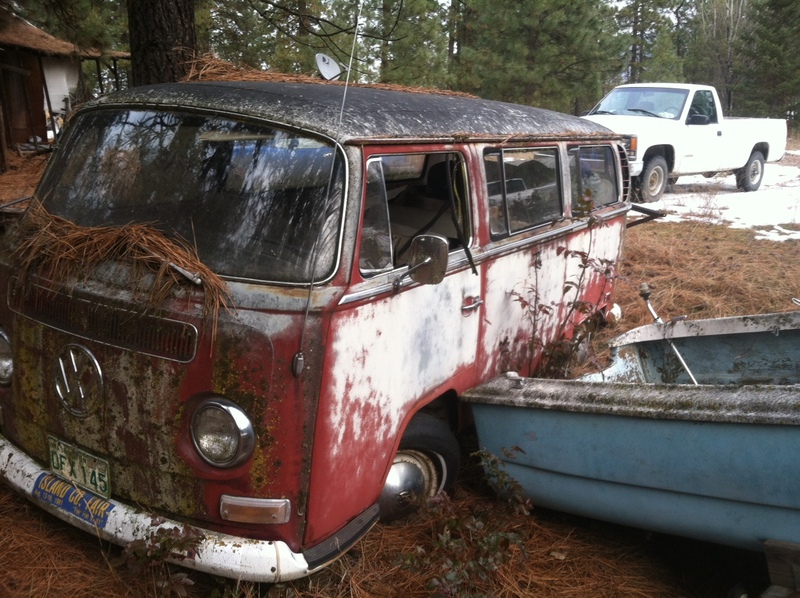 Looks more Montana Red to me, but other than knowing its an early bay window that's all Ive got. You're right! Push button door handles (I missed that), and upon viewing a zoomed in spot of the wiper arms, I think they are 68 style. Pretty sure it is a 68, and I am am thinking it is Montana red. Titian is darker. Where is Sam? We need more info, it is cold out and some of us are bored.